Ha Long Bay and pho in Hanoi have been named among 50 can’t-miss attractions, foods and experiences in Asia by US news website Business Insider. According to the website, slurping up a bowl of pho in Hanoi and sailing through Ha Long Bay are must-try experiences. 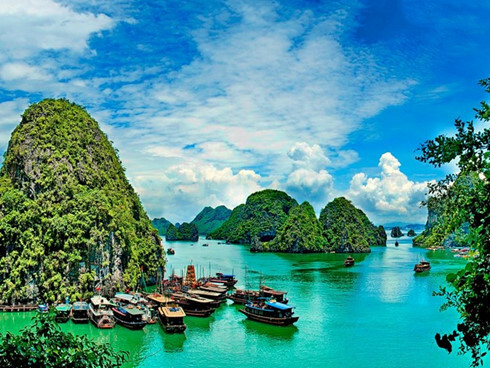 Ha Long Bay spans 1,553 square kilometres and includes 1,969 islands of various sizes. It was twice recognised as a UNESCO World Heritage Site in 1994 and 2000. In 2011, it was voted one of the seven New Natural Wonders of the World. Meanwhile, pho is considered a signature dish of Vietnam, consisting of broth, rice noodles, herbs and meat. It is primarily served with beef or chicken. Ha Long Bay has been continually listed among top destinations by various websites such as Touropia and Conde Nast Traveler magazine.The World Records Union named pho one of the world’s top 100 famous dishes. Earlier, Business Insider called pho an iconic food of Vietnam and put the dish in first place among “40 meals you should eat in your lifetime”. In the list, Business Insider also suggests other unmissable experiences such as perusing Bangkok’s Damnoen Saduak — a floating market — by boat, lounging above the forest in the infinity pool at the Hanging Gardens of Bali Resort in Indonesia, and breathing in the scent of the fresh, colorful flowers at Farm Tomita in Furano, Japan. It said Asia is a diverse continent that boasts beautiful temples, flavourful food, lush rice fields, towering skyscrapers and more.